Need to ship your perishables overnight at a lower cost? 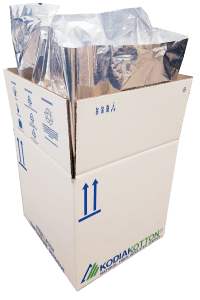 Reflective insulation is one of the most convenient options with various uses such as lining just about any size box, mailing small products, or extending travel time for foam solutions. Reflective Box Liners are a reliable solution when storage space is limited. Available in several stock sizes, these insulated box liners can be made to fit most any size box. They consume a fraction of the space required to store foam products. A Box Liner can also be added to Foam solutions for additional thermal protection and extending transit times. Reflective Mailers are a convenient, low-cost option for lining overnight pouches and boxes. They can also be used alone to insulate a temperature-sensitive product to be packed with non-perishable items. 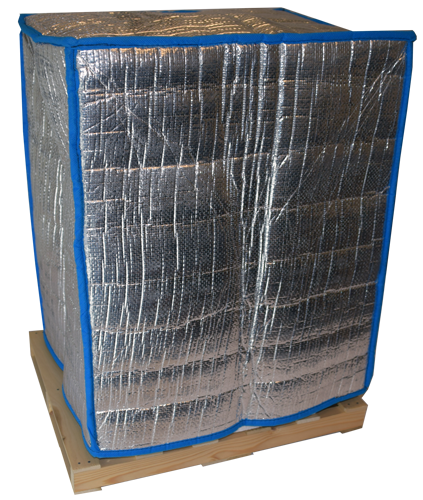 Insulated Pallet Covers provide a cost-effective solution for protecting entire pallets of product. 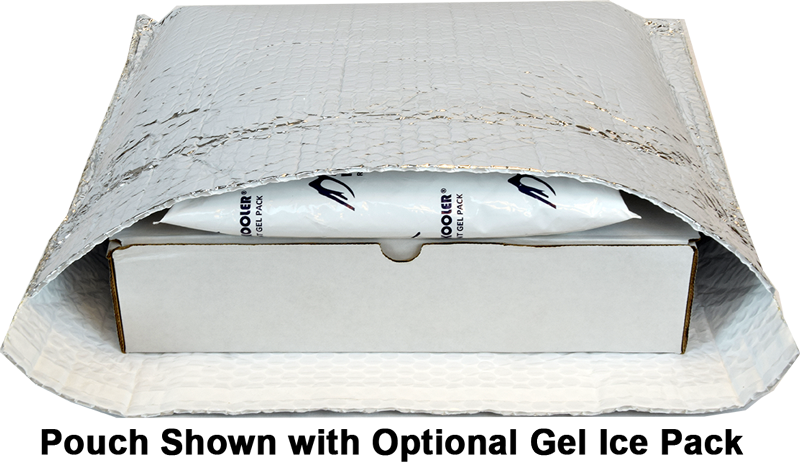 Available in a standard grade for applications of shorter duration requiring moderate insulation and a premium grade for longer duration and additional thermal protection, these covers are stocked in multiple sizes. For irregular shaped products, Reflective Bubble ROLL STOCK is a flexible solution. We stock various width rolls. More thermal protection for less cost. 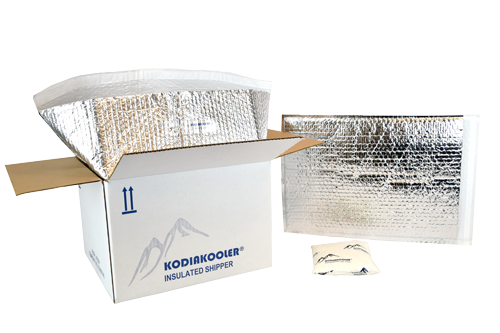 These bags are used alongside KODIAKOTTON® or KODIAKOOLER® shippers for additional thermal protection, or alone for light-duty insulation applications.